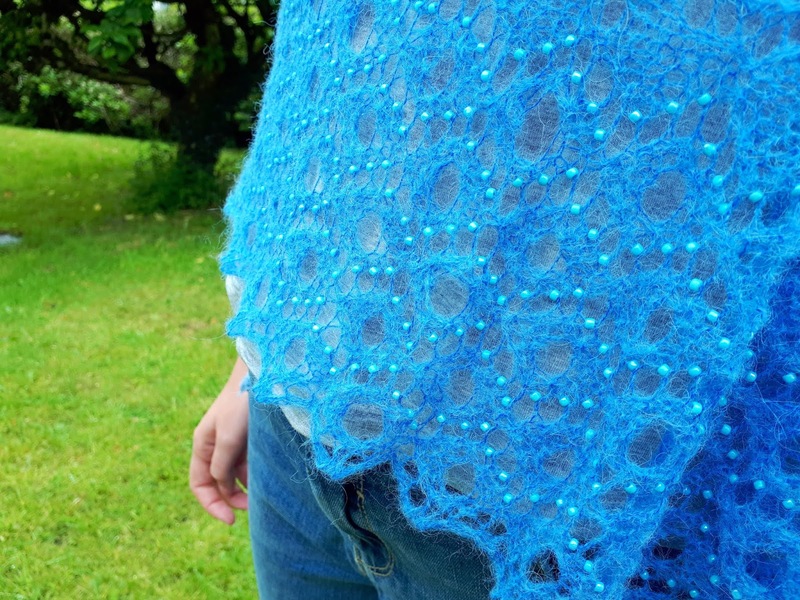 Gavotte is a stunning, light as air shawl scattered with beads for a glamorous look. 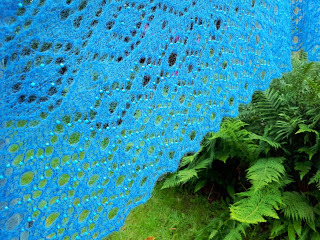 The main lace stitch pattern is paired with a contrasting wide edging along the lower length of the shawl. 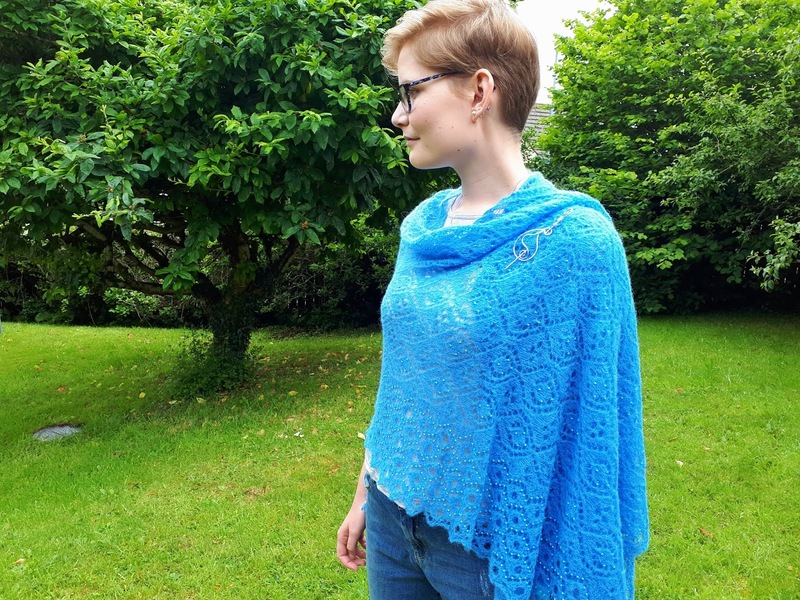 Gavotte was originally published in The Knitter 104 and is now available from my Ravelry Pattern Shop. 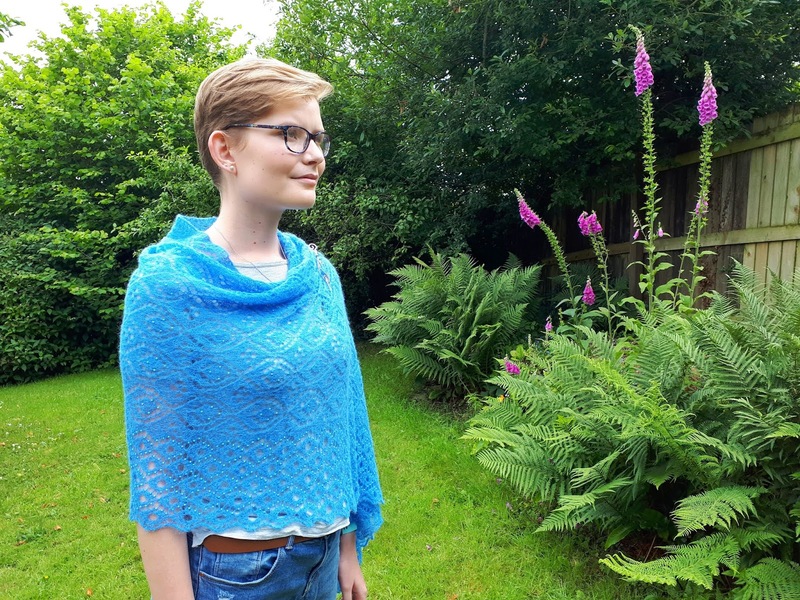 Get 25% off Gavotte until midnight UK on 26 June 2018. Use coupon code: gavotte25. 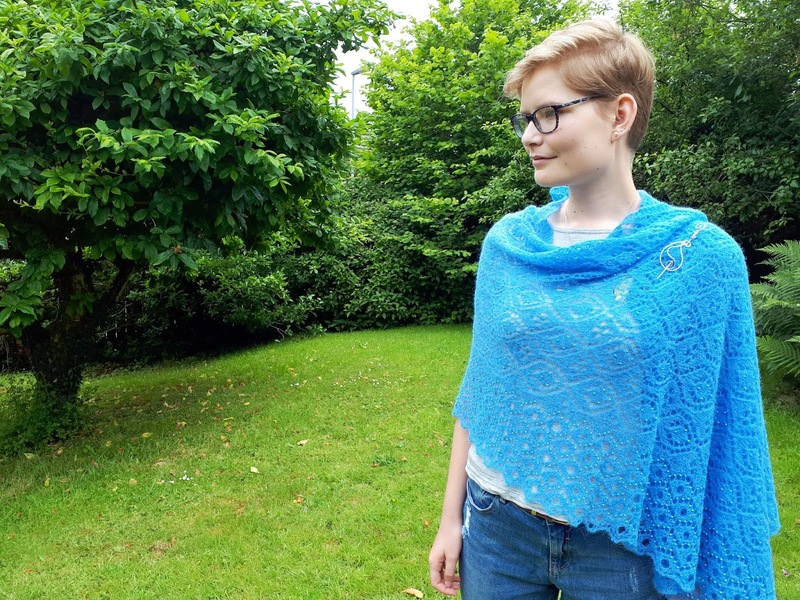 Gavotte is knitted in Navia Alpakka which is a lace weight yarn and it took 4 x 25g balls (approx 900m in total). I'll have a selection of Navia Alpakka at Woolfest this weekend, 22 and 23 June.